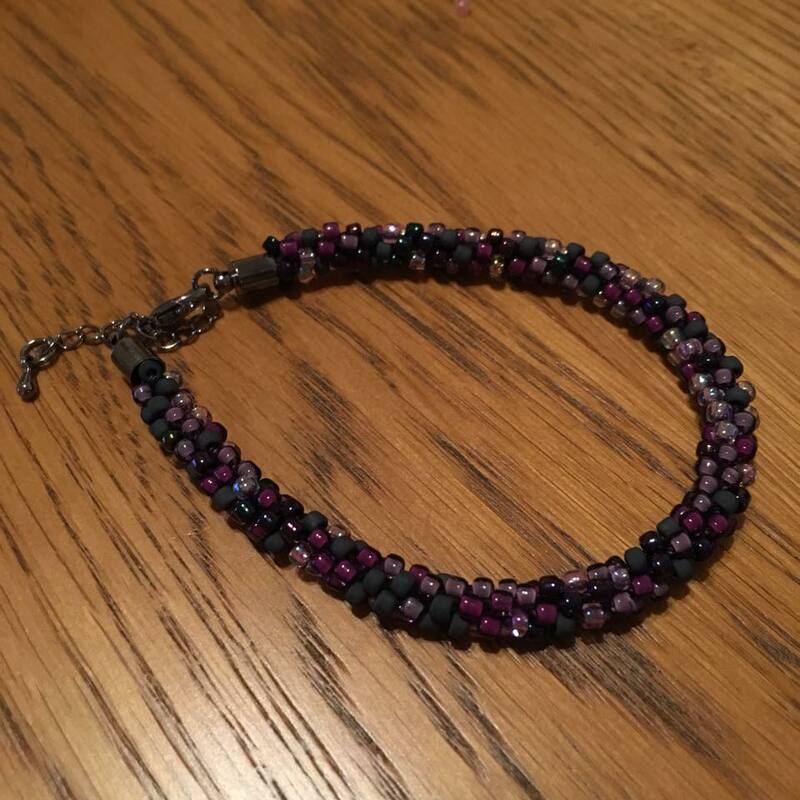 In this lesson you will learn to add beads to the basic kumihimo 8 strand bracelet. This two hour session is a great introduction to adding beads to the standard 8 strand kumihimo braid. Whilst you will not complete your braid during the session you will learn and gain confidence enough to finish your project at home. ​You can learn this technique in one session, extend the session to a half day so you can finish your project or combine this with another session to make a half day. Yes, we recommend that you complete the Simple Braid session first so that you are familiar with the standard braid. This second lesson costs £2.50 for the tuition.